You will receive a complete folder with your puppy. In this folder will be all the dates of every shot and worm treatment your pup has had since birth. At the age of 6 weeks they will have their first shot. Your pup will come home with a blanket with the smells of the siblings and a bag of the puppy food they have been eating plus a sample of their nu-vet vitamins. You will also receive a catalog and suggestions for what chew toys and other items you can buy for your pup in the future. Please fill out a puppy application and we will contact you.. Welcome to Southerncadoodles: We are a small family run business and take great pride in raising high quality mini and medium Labradoodles. All our dogs are Multigens. 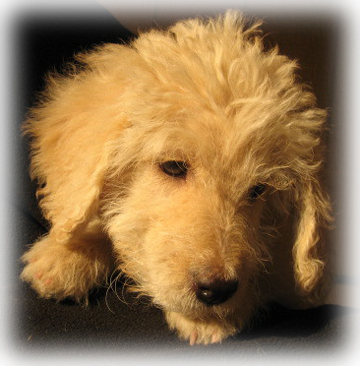 They are third generation Labradoodles and are low to non shedding and allergy friendly. They are trained to use the doggie door and know how to go outside to go potty and are kid friendly. 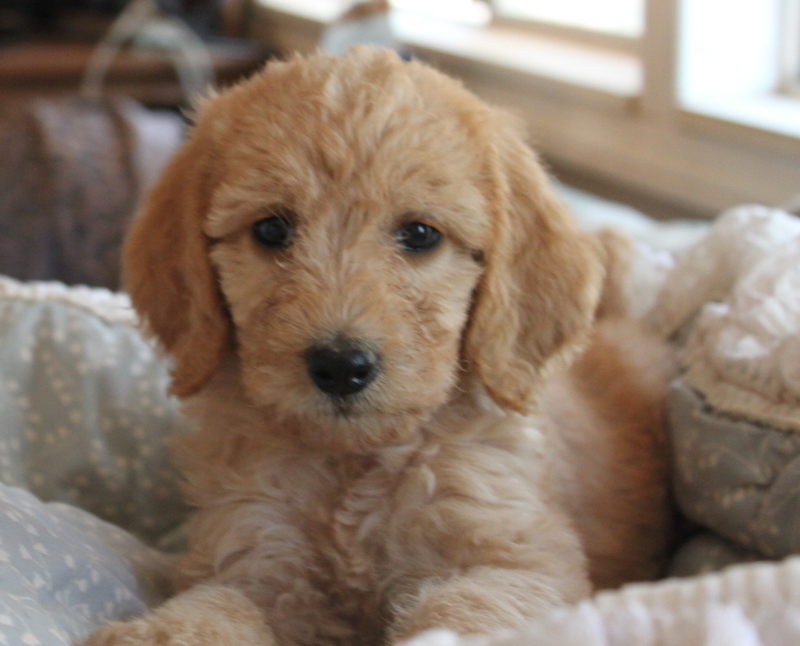 If you are looking for Labradoodle puppies is Southern CA please fill out the puppy application. We will get back to you asap. Just click the link below. We have all sizes and all colors. They are all multigens and do not shed. They are all trained to use the doggie door before going home. We are often asked what we feed and what we recommend for vitamins. Here are the products we use every day. 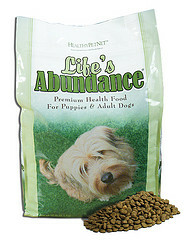 The puppies and dogs do great on these products. Click on the icon to order your products. It was amazing. We have very few vet bills because they stay healthy and their coats are beautiful. To see some of our former puppies. Please see the Testimonials page for more pictures and e-mails from their new owners. 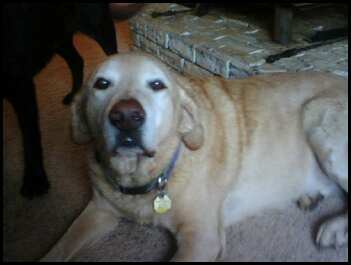 Click here to read how I feel about my dogs. What size Labradoodle are you looking for? 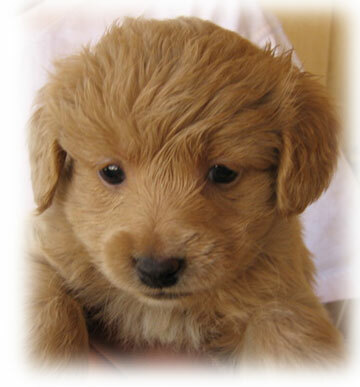 Click here to see information about the different sizes and types of Labradoodles. What is the difference between F1 and F1B? What is the difference between F1B and Multi-gen? How big is a Mini? Medium? Standard? How much do they weight? What is the difference in coat type. Curly or wavy?